Latest - Kanaka denies all reports and rumours. As you all know actress Kanaka was living her life alone, when we have first wrote the article about yesteryear actress Kanaka, so we haven't thought that article would become the center of attraction, but now we have some bad news for the followers of Malayalam cinema. We heard that the actress has been diagnosed with cancer and battling for her life. been admitted to a private hospital in Kerala and was diagnosed with the dangerous cancer at around January this year. Reports also suggest that the actress, who's been undergoing treatment, wasn't showing any improvement with the medicines and moved to the ward, where only cancer patients were kept during their last days. The hospital authorities also reportedly denied any visitors to actress. Kanaka has acted in more than Eighty films, includes Tamil, Malayalam, Kannada and her stint in Malayalam films had begun with "God Father" directed by director duo Siddique-Lal. 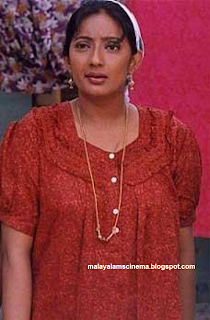 Again she acted in Siddique-Lal's movie "Vietnam Colony" and after that "Golantaravartha", "Kusuruthikaat", "Pingaami", "Vardhakyapuranam", "Narasimham" and others to her credit. mollywoodframes.com and its team pray for her good health and hope that she would return to her normal life soon. Know what happened in Kanaka's life.